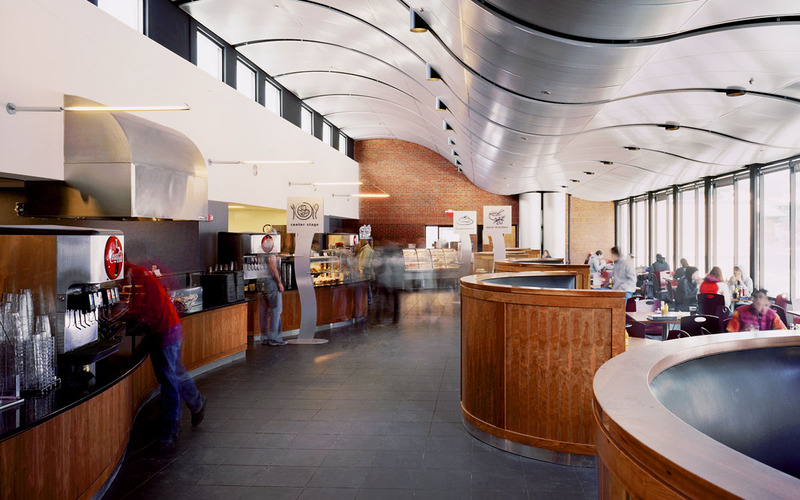 The IDX Student Center at Champlain College caters to the various aspects of today’s student life while remaining consistent with the existing architectural fabric of the campus. This 41,000 sq.ft. 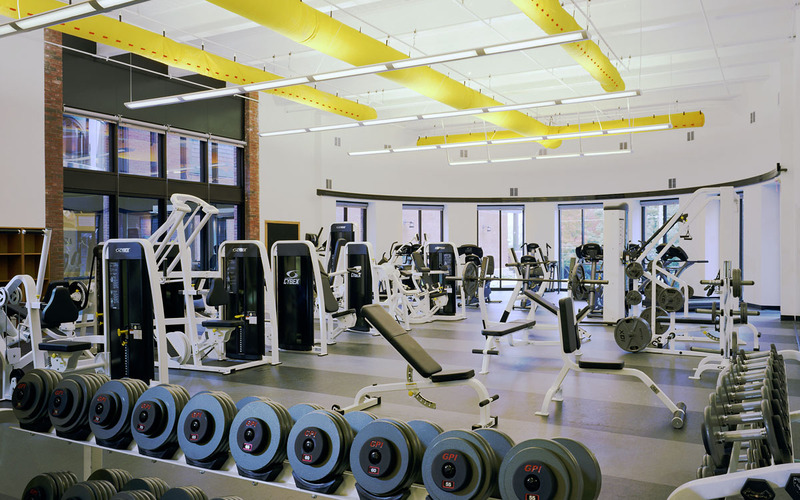 Student Life complex includes a 300-seat dining hall, fitness center, and multi-use recreational gymnasium. 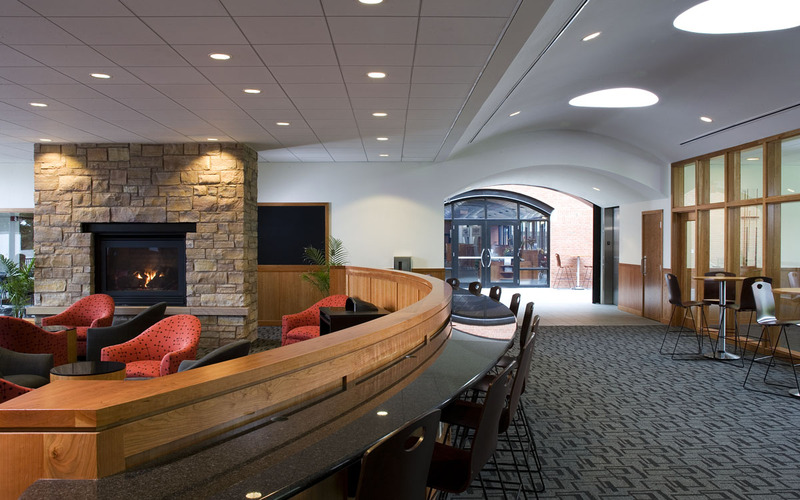 The interior design provides a healthy, comfortable environment through the use of natural materials and custom finishes. 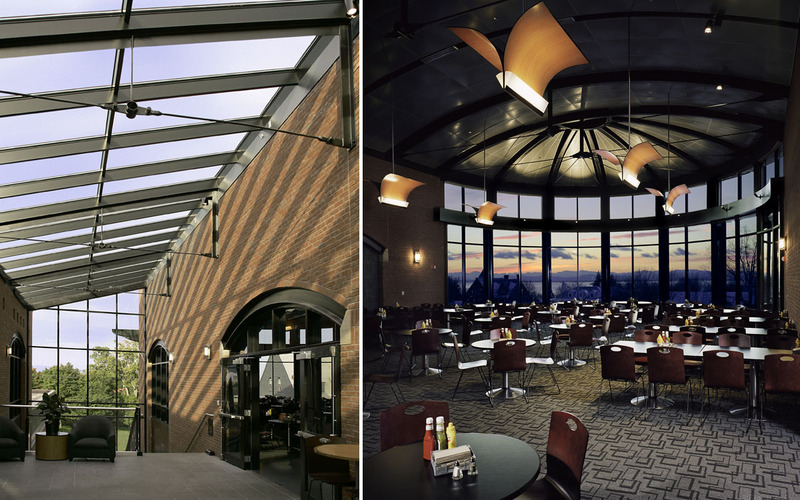 Environmental features include a green roof, on-site retention tanks to reduce stormwater runoff, energy efficient interior lighting, and high performance glazing with solar shading to reduce heating and cooling loads.